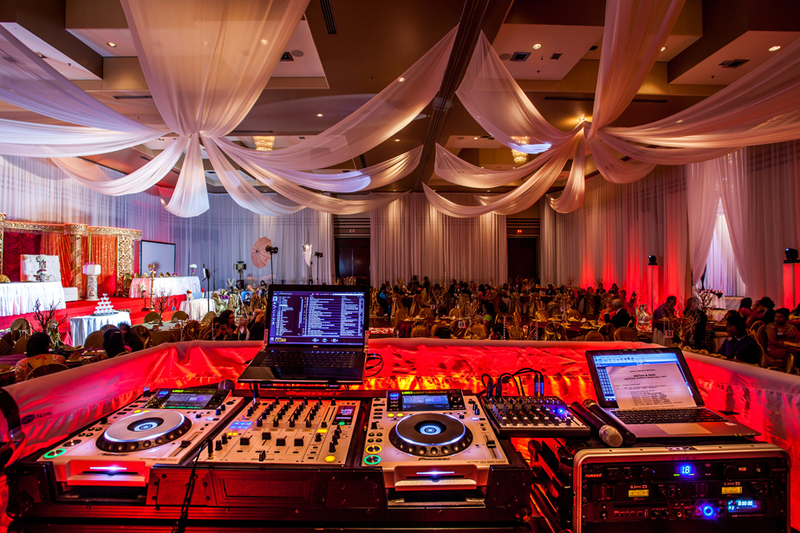 On July 7th, 2013 we where at the Chateau Royal in Laval for a Montreal Tamil wedding. We were honored to celebrate with Jeetha and Sasi! The Chateau Royal is a great modern venue, with amazingly high ceilings! 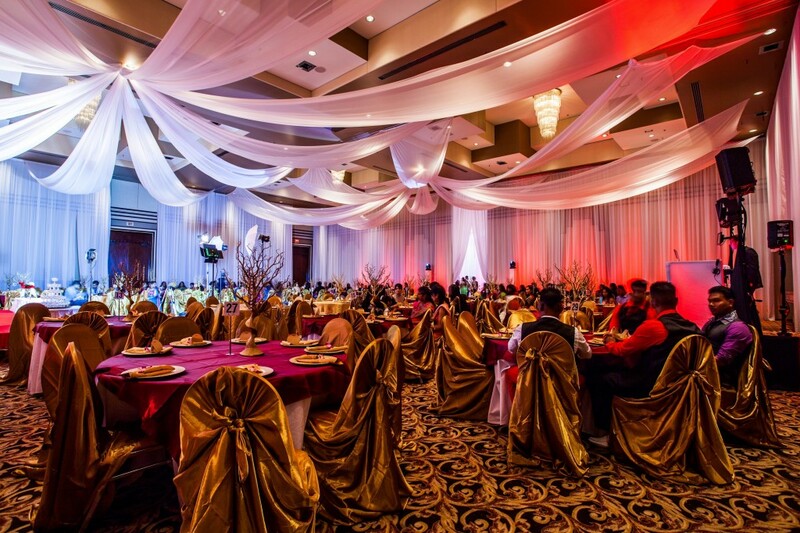 This venue can easily cater to larger weddings of 300 people or more. The decor our couple chose for the room was exquisite! The room was fully draped and uplit all around. 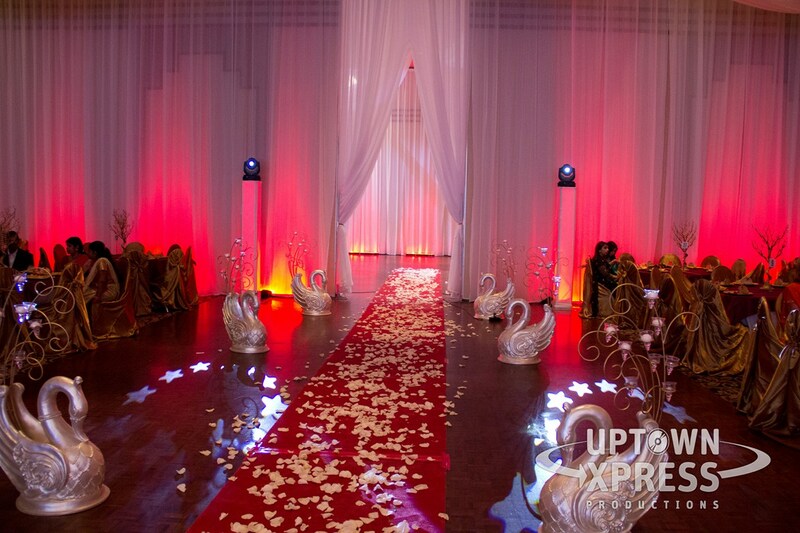 Gold chair covers, and of course a huge stage for the honor table and decor. For this wedding we also provided an ultra high quality dual video projection system to display slideshows and a short film video for all the guests. Helping me that night was one of our DJs/MCs, Franco Caruso, and we teamed up with DJ Dharson, who is an expert in Tamil music! Check him out on Twitter and Facebook. As a trio we had a great time! Congratulations Jeetha & Sasi on a great wedding, and Thank You! Here are some photo’s from the night!